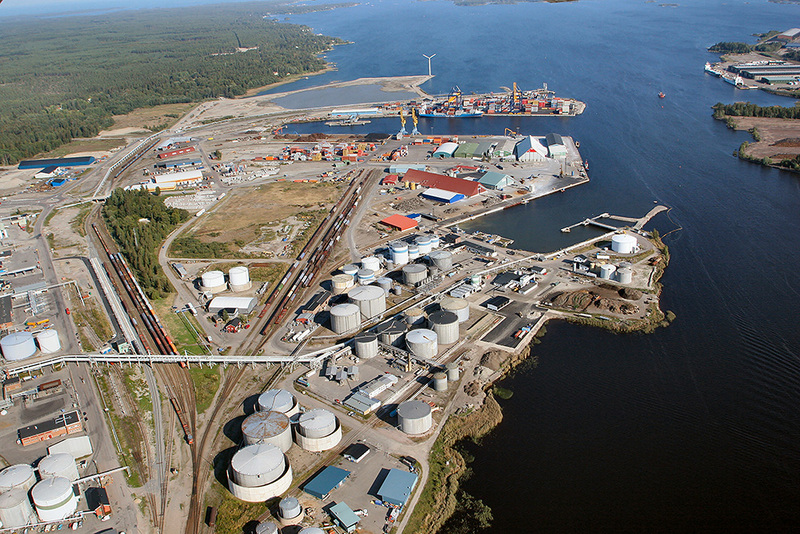 Gävle Terminal is situated on Sweden’s east coast at the Port of Gävle. Its location, just north of the Greater Stockholm region, provides convenient inland access to Sweden’s thriving industrial centres and Baltic Sea product flows. The terminal offers a strategic storage and handling hub for a variety of oil products, including fuel oil, vegetable oils, and jet fuel for Stockholm’s Arlanda international airport. Aircraft fuel is received into the terminal and loaded via a fully automated rail loading facility onto a daily shuttle train to the airport. In addition to comprehensive rail loading, the terminal also offers dedicated road tanker loading bays and vessel access via two jetties. Joining Inter Terminals’ European storage network in June 2015, Gävle Terminal has a history of high investment levels and is managed and operated to the highest standards of safety and service by an experienced team. The terminal has an extensive range of tank capacities up to 35,000m³ across 12 tanks and offers potential for future growth.